Results of the 15th Annual USA Songwriting Competition have been announced. Canadian singer-songwriter Alannah Myles and prolific Los Angeles songwriter Ken Hirsch won the top two positions of the 15th Annual USA Songwriting Competition respectively. This also marks the first time that music industry veterans dominate the top two positions of the USA Songwriting Competition fifteen year history. Toronto Canada based Alannah Myles and co-writer Nancy Simmonds won Overall Grand Prize as well as the first prize of the Rock/Alternative category with their song “Give Me Love”. Alannah Myles is known for her Classic Rock hit “Black Velvet”. “Black Velvet” hit number one on the Billboard Hot 100 charts in 1990, won a Grammy award in 1991 for the same song. That song has become a classic and is a mainstay on Classic Rock and Pop radio stations worldwide. With her latest win, Alannah Myles is launching a comeback. This also marks only the second time that the top prize went to a non-US based songwriter. The last time the top prize when to a non-US based songwriter was 2006 when Vikki Simpson of the group “The Waifs” won. Ken Hirsch and co-writers Rosie Casey, Peter Roberts & Hillary Podell of Los Angeles, CA won first prize in the Pop category as well as Overall second Prize with their song “Is that So Bad”. Ken Hirsch is a prolific songwriter with several hits on the charts and is well known for his number one hit “I've Never Been To Me”. Like Alannah Myles's “Black Velvet”, “I've Never Been To Me” has also become a classic hit and is a mainstay on Classic Pop, Soft Rock and easy listening radio stations worldwide. Ken has also written hits such as “Two Less Lonely People In The World”, a top 40 hit for Air Supply which he wrote with late legendary songwriter Howard Greenfield. 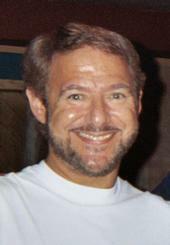 Ken Hirsch has his songs recorded by music legends such as: Barbra Streisand, Celine Dion, Stevie Wonder, Dolly Parton. Ray Charles and Mary J. Blige. Rounding of the top three is Ason, a Hip-Hop up-and-coming act from Upper Marlboro, MD, who won Overall Third Prize as well as First Prize in the Hip-Hop category. Other winners of the USA Songwriting Competition were amazed by the top 3 placements. Sherri Gough, who won the first prize in the Lyrics Only category said "Wow, I'm humbled that I was even in the same category with these songwriters, Congratulations to the top three winners". Music industry insiders have been impressed with the quality of songs submitted at the USA Songwriting Competition. "Very high caliber of submissions. USA Songwriting Competition is always ahead of the curve", said Rob Reinhart, DJ of the "Acoustic Cafe", a syndicated radio program that appears in 65 different radio stations in US and Canada. "USA Songwriting Competition is a great place for talent to be found", said Monte Lipman, President & CEO of Universal Records. USA Songwriting Competition has a long history of having winners getting recording and publishing contracts, have their songs placed on the charts as well as having their songs placed on film and television. 2009 First Prize winner (country) was signed to Universal Records. 2005 First Prize winner (Pop) Kate Voegele was signed to Interscope Records the year after she won and had her winning song hit top 40 on the Billboard Charts, her latest album hit Top 10 on the Billboard 200 Album charts this summer. 2007 Overall Grand Prize Winner Ari Gold had his winning song “Where The Music Takes You” hit #10 on the Billboard Dance Charts. Darrell Scott, winner of the country category of the 2005 USA Song writing Competition had his winning song cut by award winning country singer Faith Hill. Judges include A&R managers from record labels such as Warner, Capitol Records, Universal, BMG/SONY Music. Entries are currently being accepted for the 16th Annual USA Songwriting Competition. Winning songs of the 16th Annual USA Songwriting Competition will receive airplay on a nationally syndicated radio program “Acoustic Café” as well as Sirius XM Satellite Radio. This is the first Songwriting Competition that gives airplay to the winning songs, giving deserving bands, songwriters the recognition and exposure they deserve. Entrants stand to win a grand prize of over US$50,000 in cash and music gear from sponsors such as Sony, D’Addario Strings, Ableton, Audio-Technica, Presonus, IK Multimedia, and more, making this the largest prize package for any annual songwriting competition. Other sponsors include: New Music Weekly, Loggins Promotion, AirplayAccess.com, Onboard Research, Acoustica, Livewire Musician, Sonoma Wireworks, Rockstar Texting, Image line Recording magazine and Premier Guitar magazine.